The first in a series of “cryptocurrency” pens. I enjoyed Ancora pens back in the 1990s and this new company using the name will be interesting to watch. 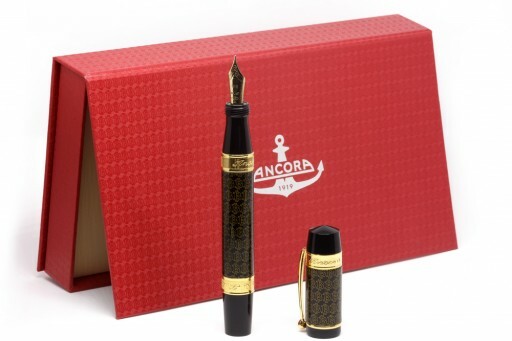 …Ancora has decided to start sales of the pen using the ICO model on Monday 18th December, 12:00 GMT – during which period, customers will have an early opportunity to buy these pens with a lower price tag than if they were to purchase at a retail store due to being at a stage of early production. Ancora will be announcing in February the production of another cryptocurrency pen, however, what cryptocurrency will be up to the customers. Ancora will be allowing customers to vote for which currency they would like the pen to be available in. Customers can take part in this and have their say in the Ancora Telegram channel….